This review is going to be on a product called green pan. They sent me a few items over for review. A healthy and happy life in an enjoyable environment is our biggest goal in life. GreenPan™ commits to this, and invests 100% in research towards healthy and eco-friendly technologies. Traditional non-stick is achieved by coating the fry pan with PTFE (PolyTetraFluoroEthylene); a waxy, synthetic substance. PTFE has well-documented disadvantages in practical household use. Above 260° C/500°F, this PTFE coating starts to decompose. The released fumes are proven to be lethal to small pets like birds! On humans, these fumes can potentially harm the respiratory tract and cause nausea and headaches. So, when you overheat your pan you damage not only your pan but possibly also your health. GreenPan™ does not use PTFE, but brings with Thermolon™ non-stick technology a healthy alternative to the market. Thermolon™ is heat resistant up to high temperatures. This means that GreenPan™ has an extra safety feature; if you overheat your pan, even up to 450°C/850°F, no toxic fumes will be released and the coating will not blister or peel. They sent me over 3 products and I will tell you about them now. Tree Trivet is flexible, dishwasher safe and heat resistant up to 500 degrees Fahrenheit. You can also use it as a trivet, potholder or a jar opener. Green Pan sponge with microfiber Made of 20% polyamide & 80% polyester soft to scrub your pots clean. With Thermolon™ non-stick technology; A natural, non-stick mineral-based coating. No potentially dangerous chemicals inside: It’s completely PTFE-free and contains no silicone oil. Manufactured without PFOA and applied in an environmentally friendly way, resulting in 60 % less CO 2 emissions. Use of up-cycled aluminum for the pan and up-cycled stainless steel for the handles. Eco-friendly construction. The flat side on the wall of the pans makes it possible to provide each item of the range with an identical handle, resulting in less tooling and less waste. Easy recycling: handles are made of up-cycled materials and have an ingenious design that makes it possible to dissemble the handle and fix it on to a new body. In that way it receives a second life. The heavy gauge aluminium and the ThermolonTM interior provide perfect heat distribution, allowing even cooking and excellent browning without the risk of any hot spots. Thanks to this Thermolon™ technology, the coating acts like an insulator that retains heat, moisture and flavors. These are sealed in and give you great results when preparing food. XL frying surface: not only useful but also eco-friendly: less material for the same convenience. Oven safe ergonomic stainless steel handles, with finger grips. This is a great pan and a perfect size for all of your cooking needs the one I have reviewed is their 8 inch pan. I also have a 12 inch pan that I have had for a few years and it is in great condition. Just do not use heavy scrubbing pads on the pan as it will hurt the non stick surface. Loving this pan! 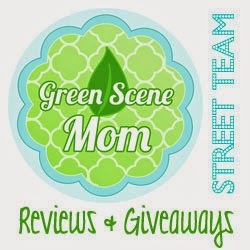 New follower from the Mom Blog Monday Hop.